It’s no secret that technology is improving rapidly. It seems as if every month a new, shiny tech product is released on the market. While this is certainly exciting, it can also leave some people overwhelmed and missing the simple days. Luckily, even as technology pushes forward, classic trends will never go out of style. Classic trends force you to slow down, take time for yourself, and take a break from the rapidly moving world around you. One of the trends making a comeback is shaving with a hand razor, and it’s no surprise why! In the long run manual razors are cheaper; there’s no need to replace the blades after a handful of shaves. Plus, there is simply nothing that can get you as close of a shave, or as ready to face the day ahead, as a hand razor. Out are electric razors and in is a luxurious personal shaving experience. It doesn’t matter if you take five minutes or thirty minutes to shave, unique products can elevate your grooming into something much more enjoyable. The first product on your list should be a razor. The weight of a razor is unfortunately an often-forgotten priority. 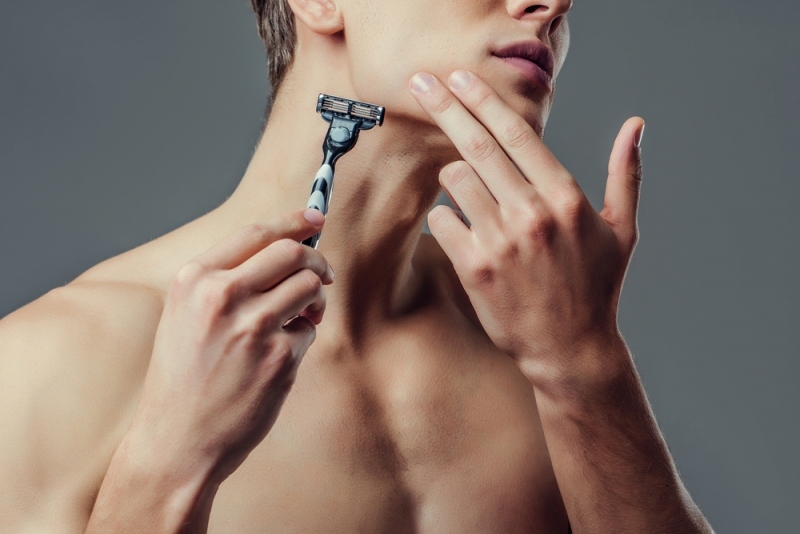 Keep this in mind when shopping around: heavy razors are ideal for sensitive skin while lighter razors are better for trimming a mustache or beard. No matter what, your razor should be well-balanced for precision, comfort, and control. No shaving experience is complete without shaving soap. Shaving soaps have been around since the 14th century and are popping up again for good reason! Bar soap not only creates a luxurious experience, but it is also much more cost effective. Bar soaps will last longer than their canned cousins. Keep an eye out for soaps with high levels of fat and glycerin, which lock in the water and hydrate your skin. You’ll also need a men’s shaving brush set to evenly cover your face with the resulting lather, as well as raise and separate your bristles for a close shave. Aftershaves are one of the most traditional aspects of manual shaving, something that is often passed down from generation to generation. Luckily, they’ve evolved from a means of sanitation in barbershops to products that help to repair and replenish your skin. Complete your shaving routine with an aftershave to soothe and hydrate your skin further. Even as we move towards a more technologically savvy future, we look to the past for grooming tools that are tried and trusted. Simply put, nothing beats a classic shave. So, carve out that “you” time because shaving with a hand razor and lavish shaving soap will never go out of style.